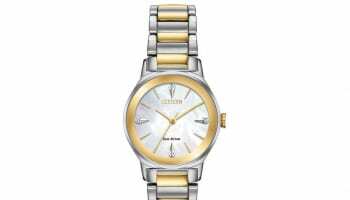 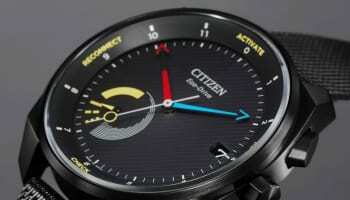 A fresh version of Citizen’s Satellite Wave watches have been introduced known as the Satellite Wave GPS. 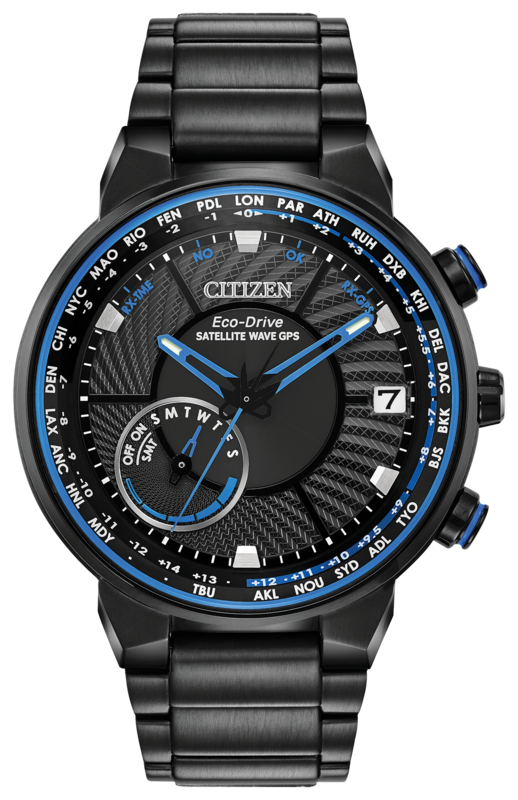 Like its predecessor, the watch checks the time by pinging GPS satellites, which means it keeps perfect time anywhere in the world. 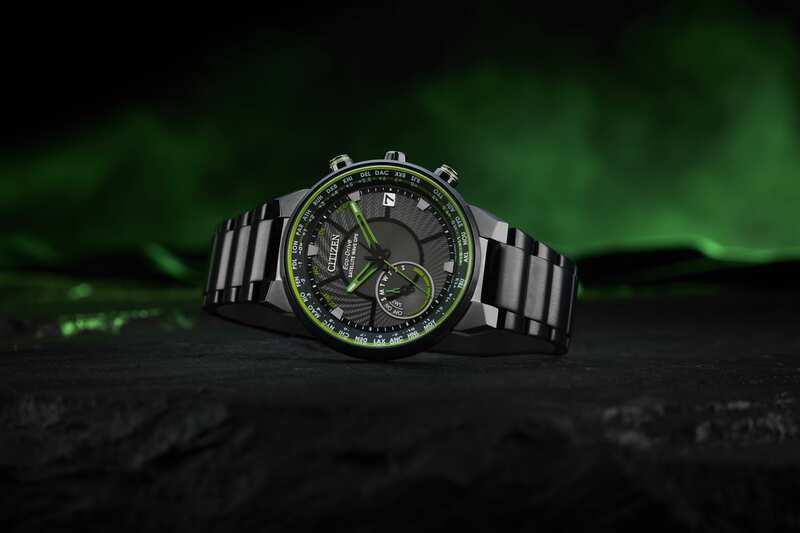 The solar powered collection is redesigned in sporty black ion-plated steel cases with blue or green hands and accents and displays a perpetual calendar, daylight savings time indicator, power reserve indicator and light level power indicator. 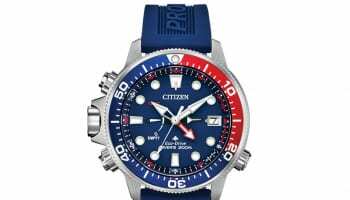 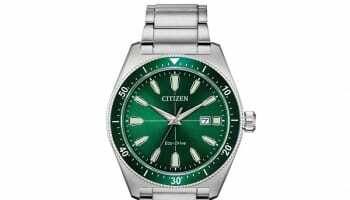 The watches are part of Citizen’s Spring/Summer collection that go on sale with retail partners in the next few weeks priced at £599.